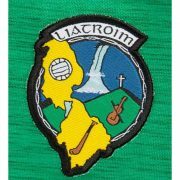 It is with great regret that we record the death of a great follower of Leitrim GAA ? Charles (Charlie) Egan, Aughlin, Aghacashel – R.I.P. A real GAA man who loved all things associated with the GAA and who was very proud of his sons and daughters involvement in the GAA. His son Mark is a member of the County Hurling panel, Cathal is a member of the County U21 panel and his daughter Sin?ad is a member of last weekends All Ireland winning Ballad group in Scór. His brother Pat is an ex referee and was Referees Administrator until 2006. Charlie played his own part in proceedings and was the assistant secretary of Coiste na nÓg. On many an occasion he was a loyal umpire to Seamus Prior and James McCaffrey on the club and inter-county scene. Other activities also saw him as a steward for Connacht Council run events. Charlie is survived by his wife Kay, sons Paul, Mark & Cathal and daughter Sin?ad, his brothers Pat and John; to whom all in Leitrim GAA offer our sincere sympathy. Reposing at his home. House private from 5 pm this (Sunday) evening with removal at 6.30 pm arriving St. Marys Church, Aghnasheelin at 7 pm. Mass of Christian Burial tomorrow (Monday) at 11 o c with Funeral afterwards to adjoining cemetery. Ar dheis D? go raibh a h-anam d?lis.